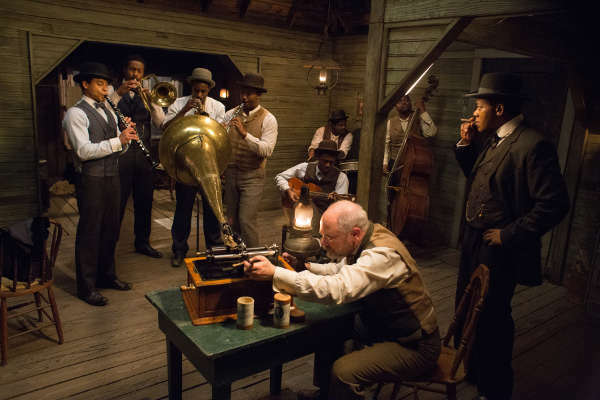 As many fans and amateur historians of Early Jazz know, the legendary cornetist Charles ‘Buddy’ Bolden is said to have made some wax cylinder recordings in the first few years of the 20th Century. These records were likely cut by Oskar Zahn, a grocer and fan of the band, who owned an Edison Phonograph with an attachable recording head. Unfortunately, the cylinder or cylinders have never been located, and at least two copies are thought to have been destroyed either from bad storage or in a barn fire, so the only known record of one of Jazz’s most prominent founding fathers is gone. But, many people who played with Bolden, and may have even been on those cylinders, made records at later dates. Furthermore, scores of New Orleans musicians from the next generation of Jazz pioneers made their way into the studio.